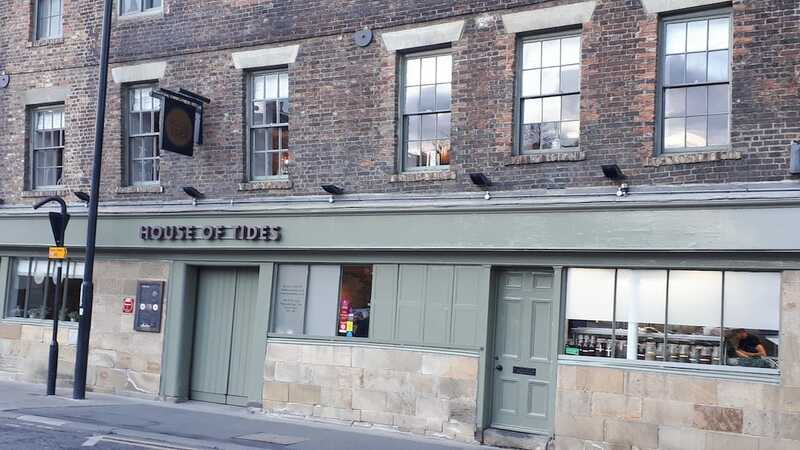 We sat down with chef-owner Kenny Atkinson after dinner at House of Tides; his laid-back, family-run restaurant in a beautifully restored, Grade 1 listed merchant’s house on the historic quayside in Newcastle. As a 16 year old I wanted to become a bar manager, but I was too young to serve alcohol, so my uncle suggested I work for him at his hotel in Gateshead; firstly washing dishes and then moving on to some kitchen duties. Not long after, I realised that I wanted cooking to be my vocation – and I also decided that if I was going to cook, then it would have to be to a high standard. Michelin Stars were in my eyes from the very beginning. I wrote letters to restaurants here in Newcastle and gained employment at the Vermont Hotel. Then several other positons materialised until I took a chance one day and telephoned Simon Radley at The Chester Grosvenor asking if I could work with him for free. I paid to stay in a hotel nearby and for two weeks absorbed everything I could, which culminated in the words of advice from Simon: “You have to go to London”. My next lucky break came when David Nicholls at the Mandarin Oriental Hyde Park offered me a position alongside Hywel Jones in the restaurant which was later to become Foliage. In 2003, I returned to The Greenway Hotel on the outskirts of Cheltenham to take up my first position as a Head Chef. How did you find your way to the Isles of Scilly? The then-owner of St Martin’s on the Isle Hotel was a customer at The Greenway and he asked me on several occasions if I would consider making my home on the island and becoming his Head Chef. Whilst this worked rather well initially, in that I achieved a Michelin Star for the restaurant Tean, island life with a young family was rather restricting and I was starting to get a little homesick. And opening House of Tides? My wife Abbie and I had seen this 16C former merchant’s house set back on the quayside. Someone had started a restoration project some 30 years before but ran out money so part of the building was still in need of renovation and repair. In some ways it was just a gut instinct about the site and also the fact that the council had announced plans for a huge regeneration of the quayside which is still continuing today. It gave me some confidence to know that this part of the city would start to become popular. I wanted to open a restaurant which the people of Newcastle could feel comfortable in. Offering top quality food but not in the traditional fine-dining environment. We soon realised that opening for lunch was not a success, so we cut out some of the lunch services, and eventually moved over to the tasting menu format we have today. I am blessed to have such a strong team, most of who have been with me since the start. We really are just like one big family, all working well together and on the same journey. We never stop pushing and want to improve ourselves and get stronger in everything we do. New dishes are always in development – usually that starts with a phone call to a supplier to ensure they can provide enough of the ingredients and further along in the process we try and find a wine to match. We all taste the dish and have an input in the finished product. I am also very excited about the current food scene in Newcastle – and the North East as a whole now. Things just keep getting better and more diverse. It also provides an excellent training ground for new chefs, as it means that they don’t necessarily have to leave the city to learn and progress, as I once had to. Which chef has been your greatest influence? The one who really made everything fall into place was Hywel Jones. He taught me how to appreciate and love ingredients: how they are produced, how they grow, when they are at their prime and how to really get the best out of them. I owe Hywel a lot in that respect. Which ingredient would you take with you to a desert island? …and as a good Geordie lad, pease pudding on toast! What was the last good restaurant that you visited? 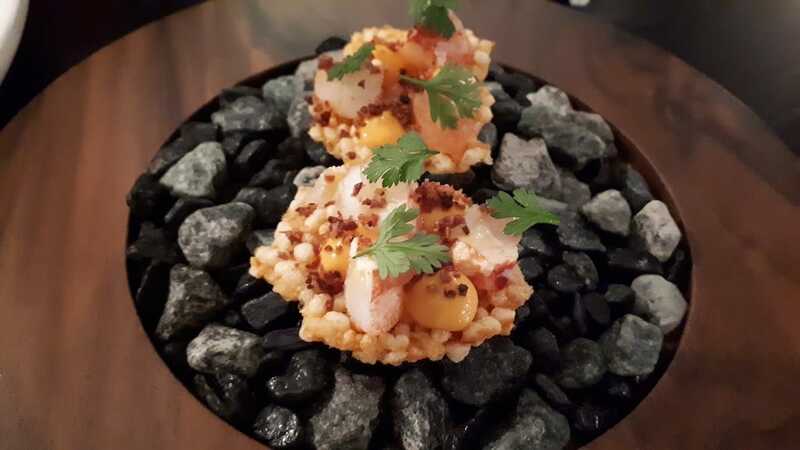 In the UK – Core by Clare Smyth. Abroad – Atera in NYC. That really was an experience, even down to the non-alcoholic cocktails that they prepared for my 10 year old son, so that he could enjoy the complete experience they offer.